January’s JCFL Prayer Vigil, during the Week of Prayer for Christian Unity 2016, takes the theme ‘Be One’. All are welcome to join us at the Religious of Mary Immaculate Hostel, 15 Southwell Gardens, Gloucester Road, SW7 4RN at 7.30pm (6.30pm Song Practice). 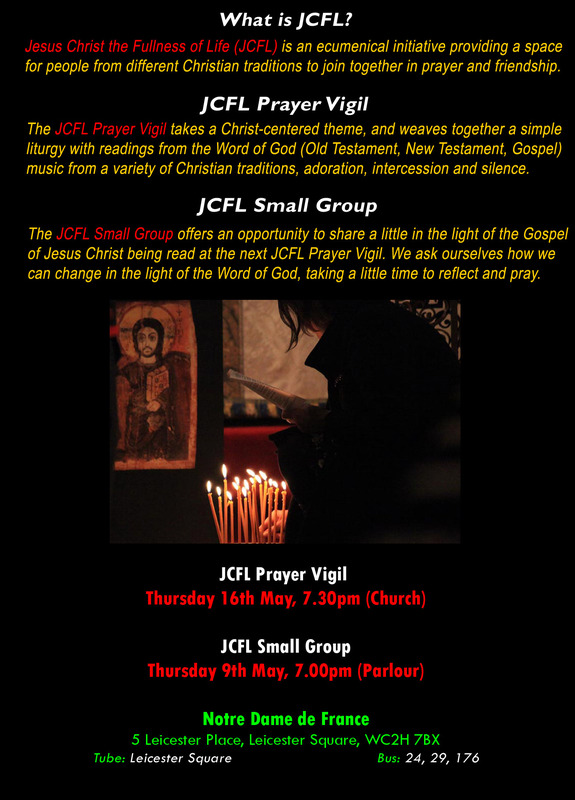 The JCFL Prayer Vigil takes a Christ-centered theme, weaving together readings from Sacred Scripture, music from a variety of Christian traditions, intercession and silence.